Join us in the pub Saturday, November 10 to support the Lockhart Field fundraising efforts spearheaded by the Frankfort-Elberta Athletic Association. 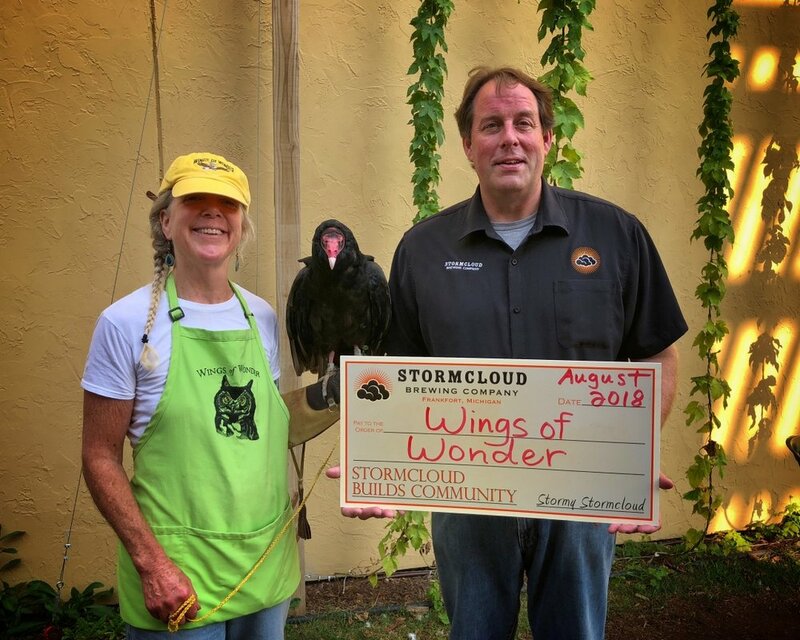 Cheers to all who joined us in August to help support the Wings of Wonder. After completing our first year of operation, we were able to act on one of our core values at Stormcloud, which is giving back to our community. 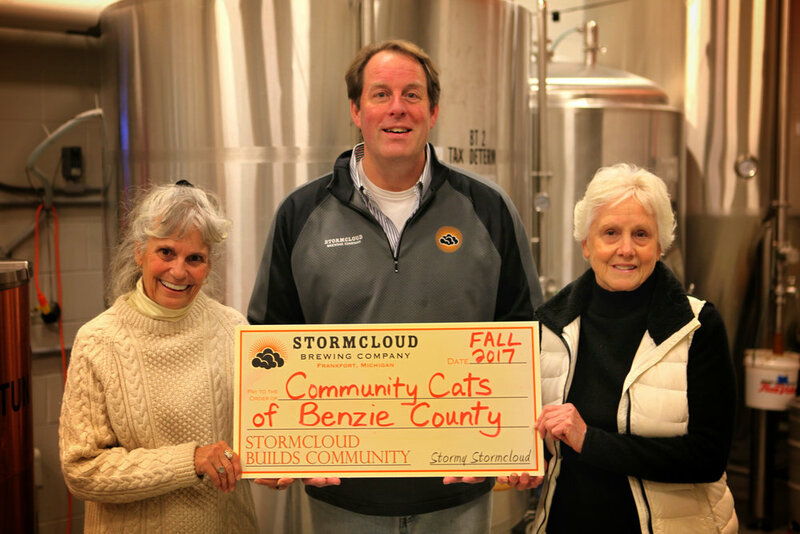 Every month during the summer season and quarterly thereafter, we select one charitable organization that we believe is making a difference in northern Michigan to share its message with our Stormcloud network and help raise funding for its efforts. Our inaugural organization was the Friends of the Betsie Valley Trail, a passionate group of folks who are committed to advocate, promote and encourage the development and successful operation of the Betsie Valley Trail, a recreational trail on the former Ann Arbor Railroad corridor in Benzie County. 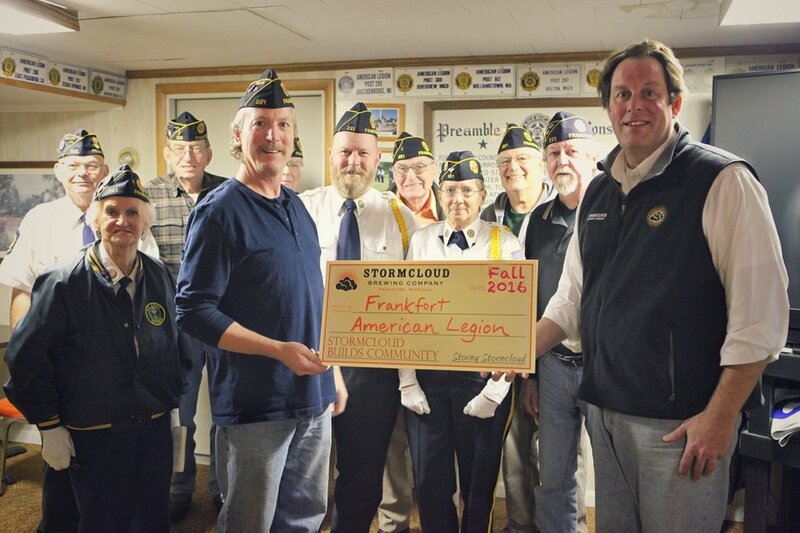 Following a reception in June 2014, Stormcloud donated 20% of sales to assist with the incredible efforts of the FBVT organization. In July 2014 we continued our community building efforts with a fundraising "tip of the pint" for Michigan Legacy Art Park, a 30-acre wooded preserve and outdoor sculpture garden located on the grounds of nearby Crystal Mountain resort. With over 40 works of art inspired entirely by Michigan's history, people and natural resources, Michigan Legacy Art Park provides a rich cultural experience for thousands of Benzie County visitors annually. 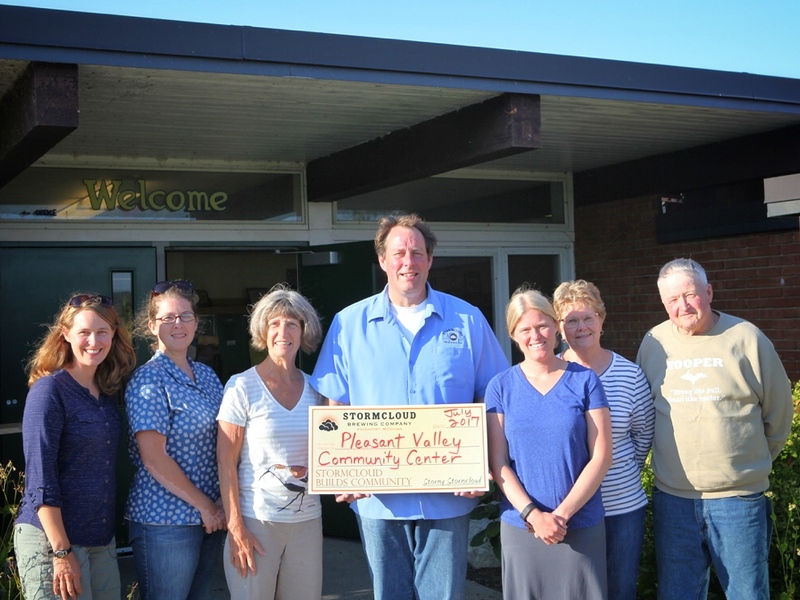 In August 2014 we held another reception and fundraiser for Frankfort's Oliver Art Center, a non-profit organization that has established itself as the primary community art center and cultural organization in Benzie County. Oliver Art Center has also become one of the most active and promising art facilities in northwest lower Michigan. For the months of March through May 2015 we supported our neighbors at the Grand Traverse Regional Land Conservancy. For more than two decades GTRLC has worked to protect over 40,000 acres of land and more than 120 miles of shoreline along northern Michigan rivers, lakes and streams. 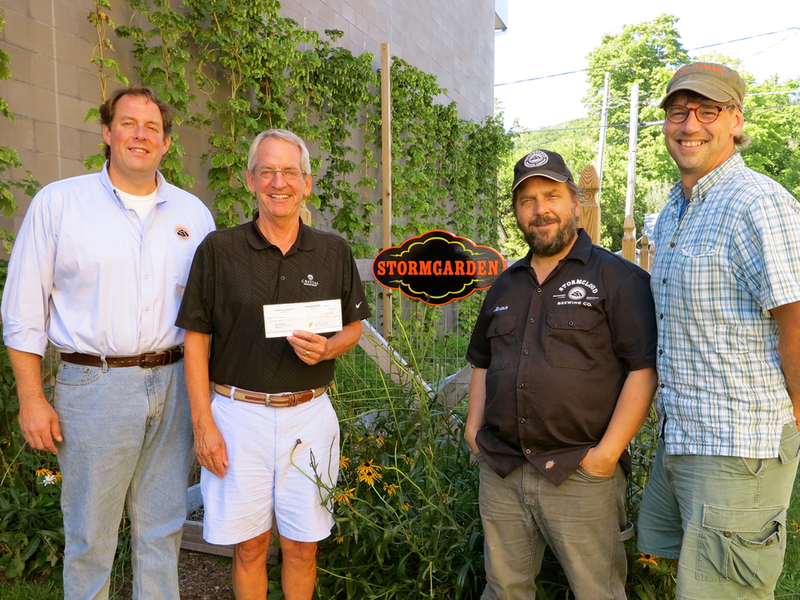 GTRLC benefited from two Stormcloud Brewing Company fund raising events. 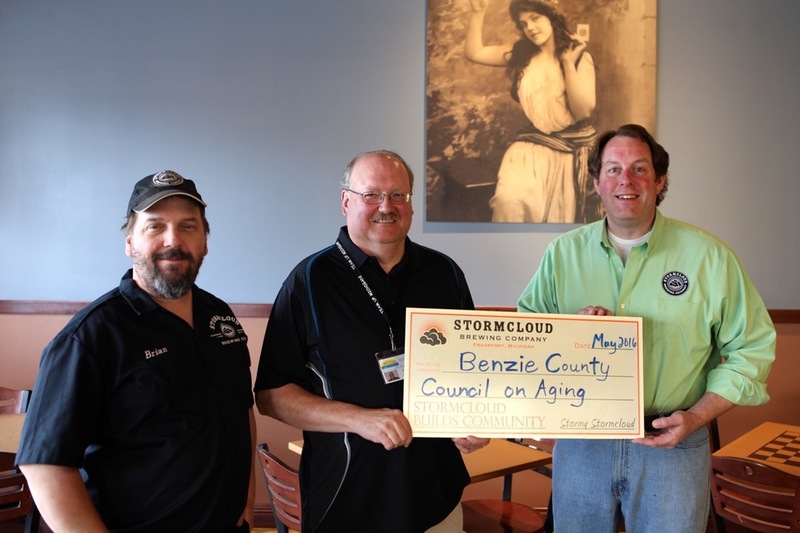 In April 2015, Stormcloud partnered with the Betsie Current Newspaper to hold an Adult Spelling Bee contest. 18 two-person teams competed for prizes, special awards, and Best Spellers in Benzie County bragging rights. Spelling Bee entry fees and 10% of Stormcloud's sales during the contest were donated to both the Grand Traverse Regional Land Conservancy and the Frankfort High School Newspaper. In May 2015, Stormcloud supported the conservancy with a Suds, Food & Fun(ds) event with 20% of all sales during the event being donated to the conservancy. Stormcloud and the Grand Traverse Regional Land Conservancy also teamed up to promote awareness of Elberta Dunes South Natural Area, 58 acres of protected dunes, forest and Lake Michigan shoreline in the neighboring village of Elberta, with a guided hike at the dunes. Our community building efforts with non-profit organizations in northwest lower Michigan have continued through the years. We will announce future Stormcloud Builds Community recipients and fundraising dates as they become available.